Gary Danek has a lot to be proud of. 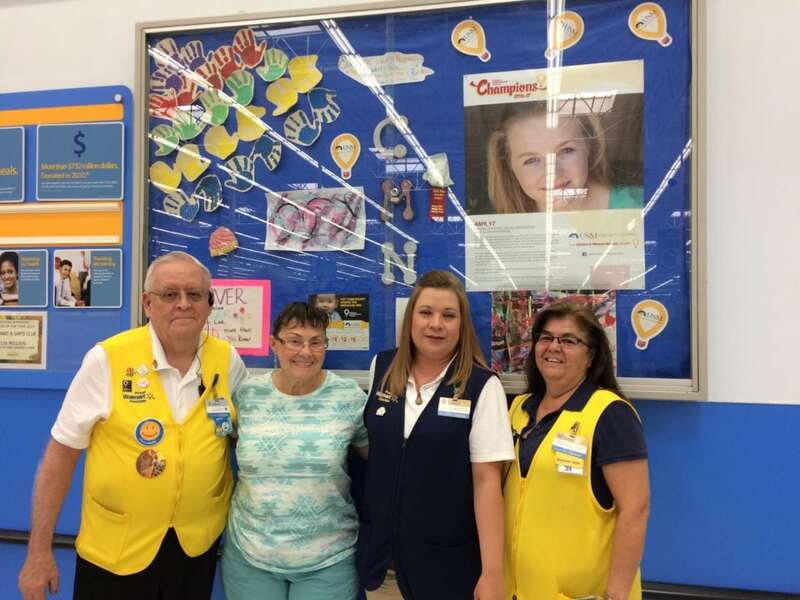 He and his fellow associates, Charlene Hatter, Rose Marie Martinez, and Dorothy DeVargas are known around their New Mexico Walmart as the champion team when it comes to fundraising for Children’s Miracle Network Hospitals. Be it cookouts, Valentine’s Day gift baskets, craft shows, gift wrapping, Easter baskets, or bake sales, Gary and his team have organized community events for almost every month of the year. In 2016, their Albuquerque store raised $30,000 for UNM Children’s Hospital — the highest of any Walmart location in the state. Though Gary loves creating planning fundraising events, he’s most passionate about giving his fellow associates a sobering, first-hand look at all that CMN Hospitals does for the community. Help make a difference in the lives of families in your community by donating at your local Walmart or Sam’s Club today! Next post: Celebrating 30 years of miracles with Walmart and Children’s Miracle Network!